Is Spinal Cord Stimulation therapy the right choice for you? Akash Bajaj, MD, MPH Blog Is Spinal Cord Stimulation therapy the right choice for you? With an increasing number of patients being diagnosed with chronic pain across the country, we at Remedy Pain Solutions strive to be on the leading edge of treatment options offered to patients in the Marina Del Rey, California area. Those who have chronic pain understand how difficult it can be to find the treatment that both fits their lifestyle and is effective in treating their individual pain levels. They also might be struggling to find treatment options that do not involve the exposure to steroid or long-term opioid use. 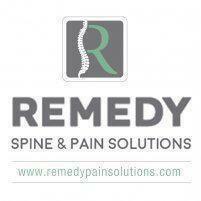 I always recommend that these patients consider Spinal Cord Stimulation (SCS) therapy. Spinal Cord Stimulation therapy is indicated for those patients suffering with chronic back or neck pain, including those with failed spinal surgeries. It offers adjustable, targeted pain relief with minimal or no side effects. This allows patients to rely less on opioids, and move forward without the need for medication refills. One of the best aspects of Spinal Cord Stimulation as a treatment option is that a trial can be completed prior to long-term use. If you are considered to be a good candidate for Spinal Cord Stimulation therapy, this trial can be scheduled to truly test if this therapy is right for you. Trials typically last about 1 week, and begin with the insertion of two small medical-grade wires called “leads” into the epidural space, near the spinal cord. There are several electrodes on the end of each lead which transmit an electrical field, communicating with the spinal cord to decrease pain in that area of the spine. These leads are then connected to a small transmitting device that stays taped to the patient’s back or attached to a belt for the week. Using a separate hand-held remote, patients are able to adjust the transmitter to the setting that treats their pain most effectively. If the trial is successful, a minimally-invasive procedure can then be scheduled at a later date to implant the transmitter under the skin of the back and allow for the unit to be utilized long-term. Since the therapy was FDA approved in 1989, technological advances have made the devices smaller, more effective, and more comfortable. At Remedy Pain Solutions, we are proud to offer Spinal Cord Stimulation therapy to our patients, and utilize some of the best technology on the market. If you are living near Marina Del Rey, California and are suffering with chronic neuropathic pain, come in to Remedy Pain Solutions where we’ll be happy to discuss whether Spinal Cord Stimulation therapy is the right choice for you.